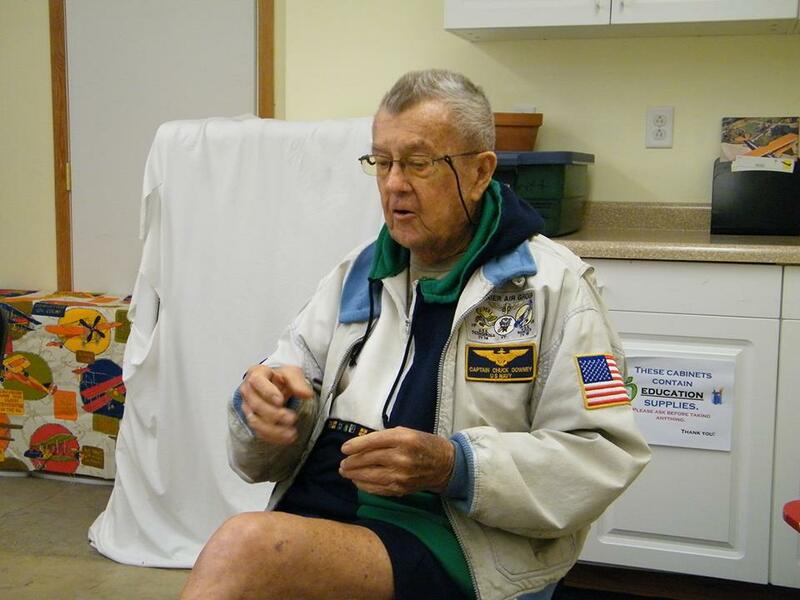 In Print members had the chance to meet Captain Chuck Downey, the youngest naval aviator of World War II, during the field trip to the Vintage Wings and Wheels Museum at Poplar Grove Airport on September 30. Captain Downey showed artifacts from the kamikaze attacks on the USS Ticonderoga in 1945. He told members tales – humorous and harrowing – of “his” war, putting a face to the names and the dates of the battles depicted in history books. Thanks to Gail Hummel for arranging the field trip. If you have ideas for trips that might inspire our members, let Gail know.